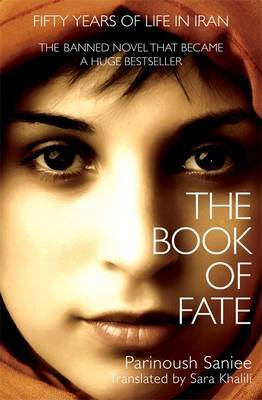 A teenager in pre-revolutionary Tehran, Massoumeh is an ordinary girl, passionate about learning. On her way to school she meets a local man and falls in love - but when her family discover his letters they accuse her of bringing them into dishonour. She is badly beaten by her brother, and her parents hastily arrange a marriage to a man she's never met. Facing a life without love, and the prospect of no education, Massoumeh is distraught - but a female neighbour urges her to comply: 'We each have a destiny, and you can't fight yours.' The years that follow Massoumeh's wedding prove transformative for Iran. Hamid, Massoumeh's husband, is a political dissident and a threat to the Shah's oppressive regime and when the secret service arrive to arrest him, it is the start of a terrifying period for Massoumeh. Her fate, so long dictated by family loyalty and tradition, is now tied to the changing fortunes of her country. Spanning five turbulent decades of Iranian history, from before the 1979 revolution, through the Islamic Republic and up to the present, The Book of Fate is a powerful story of friendship and passion, fear and hope - and a rare insider's view of Iranian society.